The Advent season is a good time to take a contemplative look at my discipleship. It can be a time when I become more aware of God and things about his life on earth. Perhaps I already know stuff about God but have been too busy to think about God for a while. 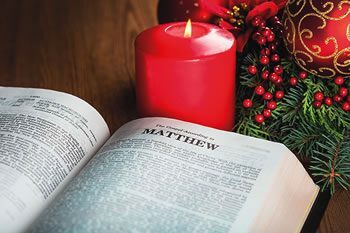 With the dual focus of waiting patiently for the birth of the Messiah and the coming of Jesus Christ at the end of time, Advent is a time to scrutinise my discipleship and ask myself if I take it for granted. If I do, has the life gone out of it? Here are some questions to ponder as I move through Advent. 1: Am I following Jesus Christ? 2: Am I moving my life along towards heaven and God’s final judgement of me? 3: Is my discipleship so active that I seldom stop to take a ‘long look’ at what motivates it, keeps it alive? 4: Though I say I am following Jesus Christ is my discipleship in fact stagnant? To conjure up an Advent mood, perhaps I can focus my thoughts on what it is like to expect a new baby in a family. Anyone who has been in a home when a new-born becomes part of a family will feel the love that seems instantly to mushroom around the baby. As the family gazes on the new life amongst it an awareness of love itself, the purity and power of it, dawns in that place. Family life as it has been known is about to be shattered. Life will be different but that does not seem to matter because love is in the air. Everyone in that place knows instinctively that their love will grow to embrace the love this new child seems to bring to them. That gutsy, immanent love which every person has in their hearts, which spills over into an atmosphere of love around a new baby is a love I need to ponder. As a disciple, I need to be aware of its presence all year round. It is the life-blood which spills over from my heart into my active Catholic life. Seeking that love through relationship with God is a spiritual activity. There are things about the absoluteness of God’s love that I need to take on board as Christmas day looms. I need all the power of its resourcefulness to embrace those differences, tastes and opinions family members bring to our peaceful, joyful, fun-filled celebration of Christmas. Seeking God’s love is much more than being content to sit back knowing that God loves me no matter what I do. Entering into a relationship with God makes me follow Jesus Christ to find out who God is, what God is like. 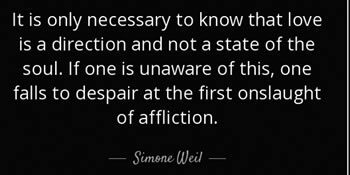 Simone Weil says that love is a direction, not a state of the soul, and this definition is a useful motivational thought for my discipleship. St. Mary Magdalene is an evangelical woman who exemplified this thought. 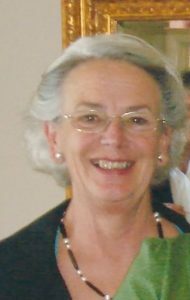 She followed Jesus Christ, seeking the power of his love, seeking a working relationship with God which would evangelise others without moving too far from home and the everyday domestic spirituality that those who seek love are so good at. Love in all its human nobleness and in all its human weakness, in its warm familiarity and in its cold toughness, in its immanence and in its distance, is what I need as a disciple of Jesus Christ. There are millions of opportunities to seek and live love in human and Godly relationships. These background experiences are the bread and butter of my discipleship. It seems the Pope is on to this and wrote a document called Gaudete et Exultate, which is about loving ordinary life into holiness. In the ordinary business of December, I must find time to prepare and strengthen my love for Christmas day and beyond. A visit to Church, to sit with the Blessed Sacrament might be a possibility for me. Time for the sacrament of Reconciliation should be on my list of ‘must do’ things. The great grace of the sacrament gives me intimate time with Jesus Christ. As he asks me once again to turn from sin with a firm purpose of seeking love once more, I am aware that God’s grace is with me, and I ask God to keep me in his grace and fill me with his love. Another ‘must do’ activity in Advent is to turn to scripture with a hungry heart. Joining my hope, faith and love to that of my ancestors in faith who longed for the promised Messiah, I might wonder how on earth they waited so long, passing on their longing through the generations. How do I as a disciple pass on my longing for Jesus Christ to my children? How did God know when the time was right? 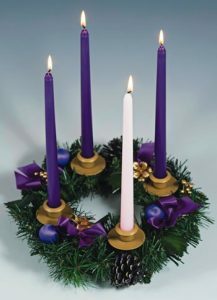 All these questions are answered as I enter into the mood of Advent. A potted history of faith, hope and love is before me on the page, and like Mary the Mother of God, I need to say ‘yes’ to all of that, if I want to be a loving, evangelising disciple. Continuing the great ‘yes’ of Mary, continuing the story of all those who have said ‘yes’ before me, passing on my ‘yes’ to future generations is God’s plan for me. The plan is not like human plans. It is more like a pulse of life beating away in my ‘yes’, bread-and-butter discipleship. 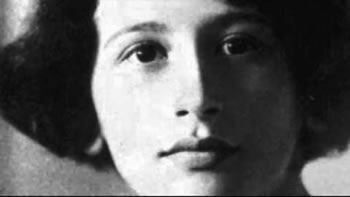 If I go on being ordinarily holy, I might be surprised like Mary. I might find myself giving birth and mothering a love which people want but do not seem able to procure by their own hand. The presence of bread-and-butter holiness hidden in the outward appearances of human love is a gift I can bring to Christmas day. I can carry it within me and deliver it into that time and place, just as a baby is delivered into the world. If I have not given myself over to the season, I might find myself surprised on Christmas day, reluctantly joining all those people I read about in the media who find Christmas Day a bit of a ‘fight fest’ because they have not enough love in their hearts to embrace difference when they most need to do so. As a disciple of Jesus Christ, I do not want to be caught out on Christmas Day. I do not want to find myself without the necessary deposit of ‘yes’ love spilling over into those inevitable moments of tension as we remember the birth of the Christ-child. And after the celebration is over and ordinary time looms, what of my death and judgement? I really, really want to have plenty of the ‘yes’ love to get through the pearly gates and to be in communion with all those different saints and angels and Mary, just gazing on the beatific vision of Love.